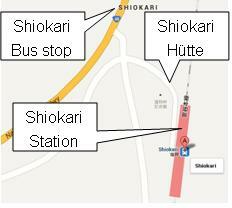 JR Shiokari station: 160 meters, only a 3-minute walk north of JR Shiokari station. 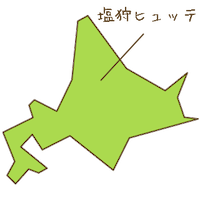 Direction 1 : Asahikawa Airport -> Car 43km (27mile) -> Shiokari Hütte. 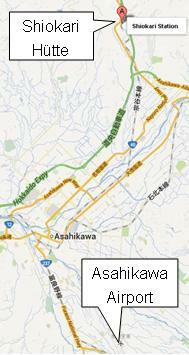 Direction 3 : Asahikawa Airport -> Bus 35min. 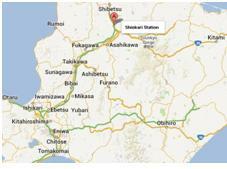 570 yen -> JR Asahikawa Station -> Dohoku Bus No6 or 7, 52min. -> Shiokari bus stop -> 150m (492feet) -> Shiokari Hütte.